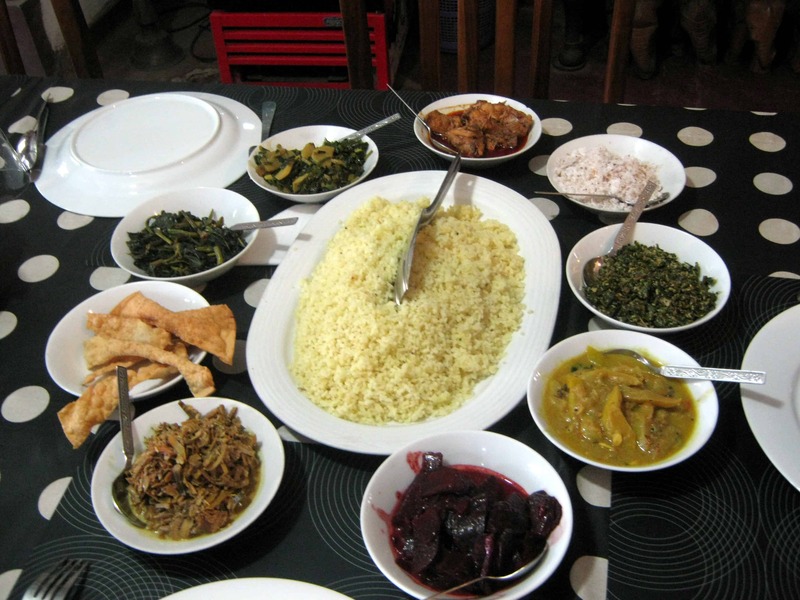 Sri Lankan food might just be the simplest most delicious food I have ever tasted. Rice and curry meals are on the menu for lunch and dinner. An enormous portion of rice is served with 5-8 curries. The curries can be with cooked banana leaves, beetroot, potatoes, chicken or fish, spinach, coconut, beans and my favourite pumpkin curry. Every meal can be a different combination of curries and you would be surprised to know what goes into them. All this served with a generous portion of crunchy poppadoms. The curries are not too spicy (for Indian taste buds at least) and so delicious that before you know it, you’ve finished a huge plate of rice! 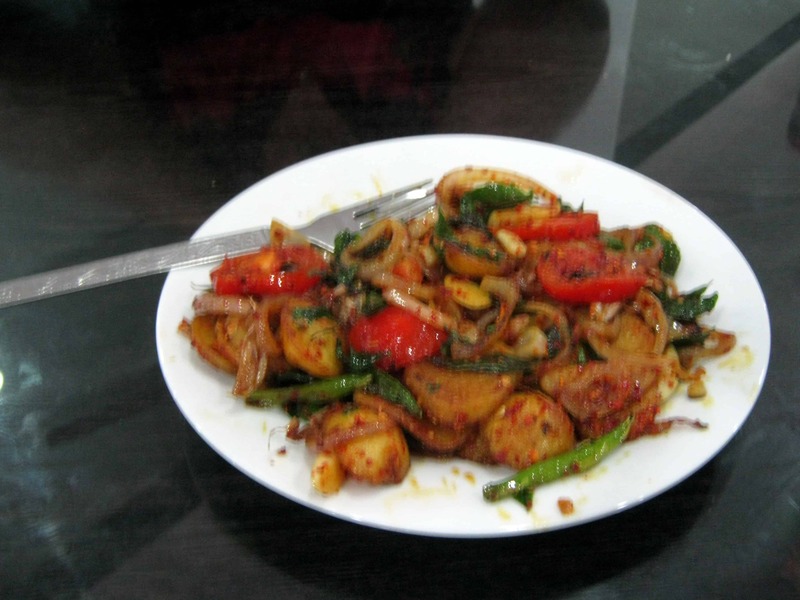 Devilled dishes are served throughout the country- these are spicy potatoes, fish or meat sauteed with onions, spices and peppers. My favourite place for Devilled potatoes is D’Silvas at Nuwara Eliya in the Hill Country. You might have tears in your eyes, but you will be begging for more!